This is a guest post by Michael D. Jones (left) and Deserai Anderson Crow (right), discussing how to use insights from the Narrative Policy Framework to think about how to tell effective stories to achieve policy goals. The full paper has been submitted to the series for Policy and Politics called Practical Lessons from Policy Theories. Imagine. You are an ecologist. You recently discovered that a chemical that is discharged from a local manufacturing plant is threatening a bird that locals love to watch every spring. Now, imagine that you desperately want your research to be relevant and make a difference to help save these birds. All of your training gives you depth of expertise that few others possess. Your training also gives you the ability to communicate and navigate things such as probabilities, uncertainty, and p-values with ease. But as NPR’s Robert Krulwich argues, focusing on this very specialized training when you communicate policy problems could lead you in the wrong direction. While being true to the science and best practices of your training, one must also be able to tell a compelling story. Perhaps combine your scientific findings with the story about the little old ladies who feed the birds in their backyards on spring mornings, emphasizing the beauty and majesty of these avian creatures, their role in the community, and how the toxic chemicals are not just a threat to the birds, but are also a threat to the community’s understanding of itself and its sense of place. The latest social science is showing that if you tell a good story, your policy communications are likely to be more effective. The world is complex. We are bombarded with information as we move through our lives and we seek patterns within that information to simplify complexity and reduce ambiguity, so that we can make sense of the world and act within it. The primary means by which human beings render complexity understandable and reduce ambiguity is through the telling of stories. We “fit” the world around us and the myriad of objects and people therein, into story patterns. We are by nature storytelling creatures. And if it is true of us as individuals, then we can also safely assume that storytelling matters for public policy where complexity and ambiguity abound. 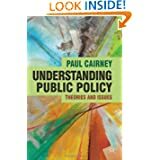 Based on our (hopefully) forthcoming article (which has a heavy debt to Jones and Peterson, 2017 and Catherine Smith’s popular textbook) here we offer some abridged advice synthesizing some of the most current social science findings about how best to engage public policy storytelling. We break it down into five easy steps and offer a short discussion of likely intervention points within the policy process. Tell a Story: Remember, facts never speak for themselves. If you are presenting best practices, relaying scientific information, or detailing cost/benefit analyses, you are telling or contributing to a story. Engage your storytelling deliberately. Set the Stage: Policy narratives have a setting and in this setting you will find specific evidence, geography, legal parameters, and other policy consequential items and information. Think of these setting items as props. Not all stages can hold every relevant prop. Be true to science; be true to your craft, but set your stage with props that maximize the potency of your story, which always includes making your setting amenable to your audience. Establish the Plot: In public policy plots usually define the problem (and polices do not exist without at least a potential problem). Define your problem. Doing so determines the causes, which establishes blame. Cast the Characters: Having established a plot and defined your problem, the roles you will need your characters to play become apparent. Determine who the victim is (who is harmed by the problem), who is responsible (the villain) and who can bring relief (the hero). Cast characters your audience will appreciate in their roles. Clearly Specify the Moral: Postmodern films might get away without having a point. Policy narratives usually do not. Let your audience know what the solution is. There are crucial points in the policy process where actors can use narratives to achieve their goals. We call these “intervention points” and all intervention points should be viewed as opportunities to tell a good policy story, although each will have its own constraints. 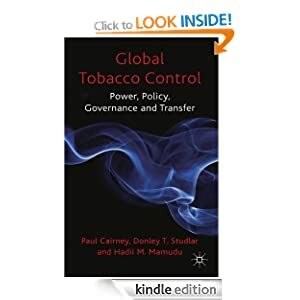 These intervention points include the most formal types of policy communication such as crafting of legislation or regulation, expert testimony or statements, and evaluation of policies. They also include less formal communications through the media and by citizens to government. Each of these interventions can frequently be dry and jargon-laden, but it’s important to remember that by employing effective narratives within any of them, you are much more likely to see your policy goals met. When considering how to construct your story within one or more of the various intervention points, we urge you to first consider several aspects of your role as a narrator. Who are you and what are your goals? Are you an outsider trying to affect change to solve a problem or push an agency to do something it might not be inclined to do? Are you an insider trying to evaluate and improve policy making and implementation? Understanding your role and your goals is essential to both selecting an appropriate intervention point and optimizing your narrative therein. Carefully consider your audience. Who are they and what is their posture towards your overall goal? Understanding your audience’s values and beliefs is essential for avoiding invoking defensiveness. There is the intervention point itself – what is the best way to reach your audience? What are the rules for the type of communication you plan to use? For example, media communications can be done with lengthy press releases, interviews with the press, or in the confines of a simple tweet. All of these methods have both formal and informal constraints that will determine what you can and can’t do. Without deliberate consideration of your role, audience, the intervention point, and how your narrative links all of these pieces together, you are relying on chance to tell a compelling policy story. On the other hand, thoughtful and purposeful storytelling that remains true to you, your values, your craft, and your best understanding of the facts, can allow you to be both the ecologist and the bird lover. Let’s begin with a simple – and deliberately naïve – prescription for evidence based policymaking (EBPM): there should be a much closer link between (a) the process in which scientists and knowledge brokers identify major policy problems, and (b) the process in which politicians make policy decisions. We should seek to close the ‘evidence-policy gap’. The evidence should come first and we should bemoan the inability of policymakers to act accordingly. I discuss why that argument is naïve here and here, but in terms of the complexity of policy processes and the competing claims for knowledge-based policy. This post is about the link between EBPM and psychology. a ‘need for coherence’ and to establish patterns and causal relationships when they may not exist (see Paul Lewis, p 7). The ‘availability heuristic’ may also be linked to more recent studies of ‘processing fluency’ – which suggests that people’s decisions are influenced by their familiarity with things; with the ease in which they process information (see Alter and Oppenheimer, 2009). Fluency can take several forms, including conceptual, perceptual, and linguistic. For example, people may pay more attention to an issue or statement if they already possess some knowledge of it and find it easy to understand or recall. They may pay attention to people when their faces seem familiar and find fewer faults with systems they comprehend. They may place more value on things they find familiar, such as their domestic currency, items that they own compared to items they would have to buy, or the stocks of companies with more pronounceable names – even if they are otherwise identical. Or, their ability to imagine things in an abstract or concrete form may relate to their psychological ‘distance’ from it. Alter and Oppenheimer use these insights to warn policymakers against taking the wrong attitude to regulation or spending based on flawed assessments of risk – for example, they might spend disproportionate amounts of money on projects designed to address risks with which they are most familiar (Slovic suggests that feelings towards risk may even be influenced by the way in which it is described, for example as a percentage versus a 1 in X probability). Alter and Oppenheimer also worry about medical and legal judgements swayed by fluid diagnoses and stories. Haidt argues that the identification of the ‘intuitive basis of moral judgment’ can be used to help policymakers ‘avoid mistakes’ or allow people to develop ‘programs’ or an ‘environment’ to ‘improve the quality of moral judgment and behavior’. These studies compare with arguments focusing on the positive role of emotions of decision-making, either individually (Frank) or as part of social groups, with emotional responses providing useful information in the form of social cues (Van Kleef et al). 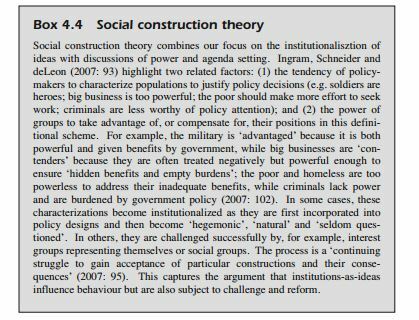 Social Construction Theory suggests that policymakers make quick, biased, emotional judgements, then back up their actions with selective facts to ‘institutionalize’ their understanding of a policy problem and its solution. They ‘socially construct’ their target populations to argue that they are deserving either of governmental benefits or punishments. Schneider and Ingram (forthcoming) argue that the outcomes of social construction are often dysfunctional and not based on a well-reasoned, goal-oriented strategy: ‘Studies have shown that rules, tools, rationales and implementation structures inspired by social constructions send dysfunctional messages and poor choices may hamper the effectiveness of policy’. The Advocacy Coalition Framework suggests that people engage in coordinated activity to cooperate with each other and compete with other coalitions, based on their shared beliefs and a tendency to demonise their opponents. In some cases, there are commonly accepted ways to interpret the evidence. In others, it is a battle of ideas. Multiple Streams Analysis and Punctuated Equilibrium Theory focus on uncertainty and ambiguity, exploring the potential for policymaker attention to lurch dramatically from one problem or ‘image’ (the way the problem is viewed or understood). 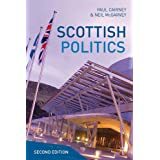 They identify the framing strategies – of actors such as ‘entrepreneurs’, ‘venue shoppers’ and ‘monopolists’ – based on a mixture of empirical facts and ‘emotional appeals’. The Narrative Policy Framework combines a discussion of emotion with the identification of narrative strategies. Each narrative has a setting, characters, plot and moral. They can be compared to marketing, as persuasion based more on appealing to an audience’s beliefs (or exploiting their thought processes) than the evidence. People will pay attention to certain narratives because they are boundedly rational, seeking shortcuts to gather sufficient information – and prone to accept simple stories that seem plausible, confirm their biases, exploit their emotions, and/ or come from a source they trust. In each case, we might see our aim as going beyond the simple phrase: ‘the evidence doesn’t speak for itself’. If ‘fast thinking’ is pervasive in policymaking, then ‘the evidence’ may only be influential if it can be provided in ways that are consistent with the thought processes of certain policymakers – such as by provoking a strong emotional reaction (to confirm or challenge biases), or framing messages in terms that are familiar to (and can be easily processed by) policymakers. To compare types of thought process, such as (a) goal-oriented and reasoned, thoughtful behaviour and (b) the intuitive, gut, emotional or other heuristics we use to process and act on information quickly. A wide range of actors making choices. Institutions, as the rules, norms, and practices that influence behaviour. Policy networks, as the relationships between policymakers and the ‘pressure participants’ with which they consult and negotiate. Ideas – a broad term to describe beliefs, and the extent to which they are shared within groups, organisations, networks and political systems. Context and events, to describe the extent to which a policymaker’s environment is in her control or how it influences her decisions. Putting these approaches together is not easy. It presents us with an important choice regarding how to treat the role of psychology within explanations of complex policymaking systems – or, at least, on which aspect to focus. Our second choice is to treat these propositions as assumptions, allowing us to build larger (‘meso’ or ‘macro’ level) models that produce other hypotheses. We ask what would happen if these assumptions were true, to allow us to theorise a social system containing huge numbers of people, and/ or focus on the influence of the system or environment in which people make decisions. The Advocacy Coalition Framework has tested the idea of ‘devil shift’ (coalitions romanticize their own cause and demonise their opponents, misperceiving their power, beliefs and/ or motives) but also makes assumptions about belief systems and prospect theory to build models and test other assumptions. Multiple Streams Analysis and Punctuated Equilibrium Theory focus on uncertainty and ambiguity, exploring the potential for policymaker attention to lurch dramatically from one problem or ‘image’ (the way the problem is viewed or understood). They identify the framing strategies of actors such as ‘entrepreneurs’, ‘venue shoppers’ and ‘monopolists’. Social Construction Theory argues that policymakers make quick, biased, emotional judgements, then back up their actions with selective facts to ‘institutionalize’ their understanding of a policy problem and its solution. The Narrative Policy Framework combines a discussion of emotion with the identification of ‘homo narrans’ (humans as storytellers – in stated contrast to ‘homo economicus’, or humans as rational beings). Narratives are used strategically to reinforce or oppose policy measures. Each narrative has a setting, characters, plot and moral. They can be compared to marketing, as persuasion based more on appealing to an audience’s beliefs (or exploiting their thought processes) than the evidence. People will pay attention to certain narratives because they are boundedly rational, seeking shortcuts to gather sufficient information – and prone to accept simple stories that seem plausible, confirm their biases, exploit their emotions, and/ or come from a source they trust.